Chief Electoral Officer Manoj Kumar informed that as per the directions of Election Commission of India the Special Summary Revision of Photo electoral rolls with 1st January, 2012 as qualifying date, would be carried out from 1st October to 1st November, 2011 for all the 68 assembly segments in the State. He said that the draft of photo electoral rolls would be available with concerned Electoral Registration Officers (ADM/SDMs) and Assistant Electoral Registration Officer (Tehsildars and Naib Tehsildars) and each polling stations throughout the State by 1st October, 2011 where they can inspect the same and claims and objections, if any could be filed between 1st October to 1st November, 2011. He informed that these electoral rolls would be verified in the special Gram Sabha and Local Bodies meetings to be conducted on 8th October and 11th October, 2011. He further disclosed that to facilitate the electors, special campaign would be launched at each polling station on 9th October, 16th October and 23rd October, 2011 and added that claims and objections would be decided by 1st December, 2011. 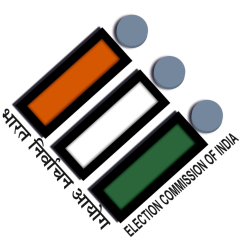 Photo electoral rolls would be published finally by 5th January, 2012. He said that electors can also verify their names in electoral rolls on the commission’s website http://ceohimachal.nic.in. He appealed to all the citizens, political bodies, Mahila and Yuvak Mandals to assist in registering the names of eligible persons in the electoral rolls and deleting those who were ineligible for the same.